Are you worried about making friends at college? Do you want to attend events but aren’t sure how you’re going to keep track of everything? College is a big adjustment from high school. During my freshman year of college, I juggled classes, work, sleep, extracurricular activities, and my social life. 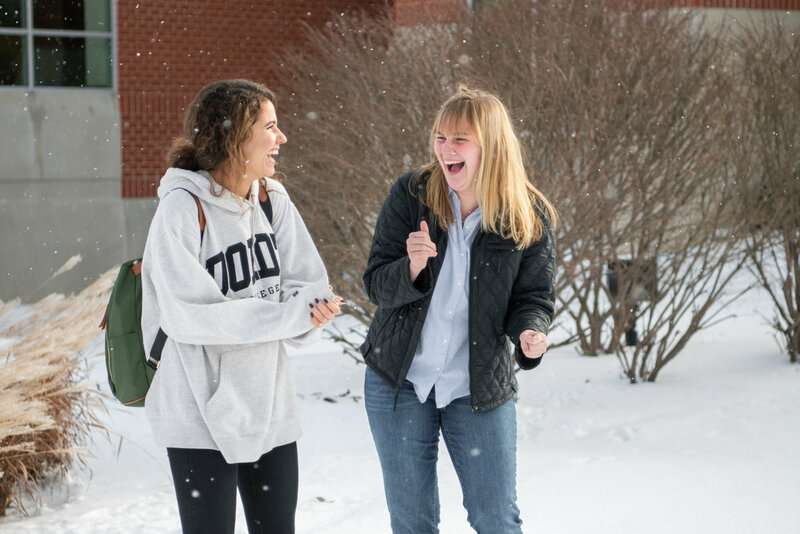 But two years in, I’m deeply entrenched in campus life, and looking back, I’ve got a few tips for getting involved at Dordt. “Gopher Broke” performs at NCDC, a competition between us and a neighboring college. CHECK THE WEEKLY. At Dordt, you’ll have your own email address, and once a week, you’ll get an announcement email called “The Weekly” from Student Services. It lists upcoming events, announcements, and more. Make sure you skim the email and you’ll have a better idea of when that Bible study you want join actually meets. ATTEND CLUB FAIRS. Dordt puts on a couple of club-fair events, including “Taste of Sioux Center” during Week of Welcome (WOW). Clubs set up booths and have representatives to answer all of your questions, and you’ll get to see all your options. KNOW THE BIG 10. Every year, Dordt Student Activities puts on ten big events. These include NCDC (a musical competition), TX (a talent show), Airband (a lipsyncing competition), and more. Whether you’re on stage or in the crowd, you can meet a ton of people at these events. READ THE POSTERS. There are hundreds of events that happen on Dordt’s campus, from club gatherings to departmental events—and the best way to find out about them is to watch bulletin boards across campus for new posters (and read the Weekly). .
TAKE A CHANCE... I’m an introvert, and talking to people I don’t know can be really intimidating. Freshman year, I’d tag along with people I knew to feel more comfortable at events. Now, I’ve built up enough confidence that I don’t mind attending events where I don’t know anyone. ...BUT USE MODERATION. Are you getting the sense that campus can be crazy busy? The truth is, you can’t be involved in everything, so try to pick and choose wisely. It helps if you know what your schedule looks like so you don’t overextend yourself. ASK YOUR R.A. So you forgot to read the Weekly, you can’t remember what the poster looked like, and you’re desperate to get to that bonfire. Who’re you gonna call? Ghostbusters—no, your R.A. It’s okay to ask for help, and your R.A. is there to answer questions and help you navigate life at Dordt. At Dordt, I’ve dabbled in swing dance, created psychedelic artwork with the D’Arte club, cheered for my friends performing at NCDC, and helped organize events for the Writing Club. You don’t know what it’ll be like until you try it—so just go for it!